Following the discovery of extremely old manuscripts of the Qurʾān, and the Birmingham folios having been dated between 568 and 645 AD (56 before Hiǧra and 25 after) with Carbon 14 techniques, scholars largely refuse today the late dating of the earliest copies of the Qurʾān proposed for example by John Wansbrough in his book entitled Quranic studies (Oxford University Press, 1977). See also Patricia Crone and Michael Cook who suggested that there was no indication of the existence of the Qurʾān before the end of the 1st/7th century (Hagarism, Cambridge University Press, 1977). It now seems that a better dating should be closer to the middle of the 1st/7th century, or even earlier. The discovery in 1972 of very old Qurʾānic manuscripts in Ṣanʿāʾ elicited new studies, and the ultraviolet techniques that are now available revealed that one of the codices is actually a palimpsest, i.e. it contains an older text that has been washed away and replaced by a later one. A first edition of this older text was published by Behnam Sadeghi and Mohsen Goudarzi in Der Islam 87 (2010) under the title “Ṣanʿāʾ 1 and the origin of the Qurʾān” and an analysis of the manuscript was published between 2008 and 2014 by Elizabeth Puin under the title “Ein früher Koranpalimpsest aus Ṣanʿāʾ”. A new edition of the text is due to be published on February 28, 2017 by Asma Hilali at the Oxford University Press under the title The Sanaa palimpsest. Unfortunately, these two editions only contain the text of the 36 folios from the manuscript of Dār al-Maḫṭūṭāt (Ṣanʿāʾ) and not the 40 other folios of the same codex that were found recently in al-Maktaba al-Šarqiyya (also in Ṣanʿāʾ). Interestingly, this older version that has been washed away seems to be, until now, the only one among all the copies of the Qurʾān to differ from the ʿUṯmānic canonical version. After the ʿUṯmānic unification of the Qurʾānic text, variant versions have indeed been erased and replaced by the canonical text. 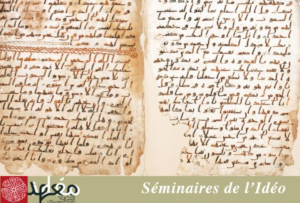 The Ṣanʿāʾ palimpsest is a convincing proof that different versions from the time of the Pophet’s companions did actually exist, a fact that was common knowledge in the Islamic medieval tradition represented among others by Ibn Abī Dāwūd’s book Kitāb al-maṣāḥif. This entry was posted in Seminars and tagged culture, Platti by Jean. Bookmark the permalink.